Away from the coast, Sri Lanka's real charm and interest becomes apparent. The beaches of Sri Lanka are glorious, but combining them with a few days or longer inland makes this a really special destination. Highlights include the Pinnawella elephant orphanage, Sigiriya Rock Fortress and the stunning scenery of the hill stations. 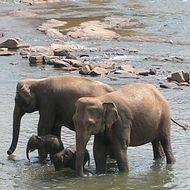 Sri Lanka's interior breaks down in to three main areas - historical, cultural and scenic. 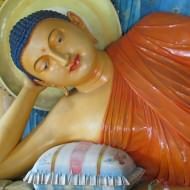 The historical areas focus around stunning Sigiriya Rock Fortress and the ancient city of Polonnaruwa. Kandy is the heart of Cultural Sri Lanka, home to the famed Temple of the Tooth, while Nuwara Eilya is Sri Lanka's best known hill resort and a great base for scenic exploring. Don't forget to visit the wonderful Pinnawella Elephant Orphanage too! 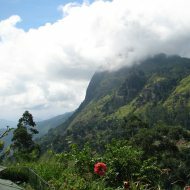 Inland Sri Lanka has a good range of hotel options, in all the main locations of interest. Hotels around Sigiriya are ideal for exploring the history of the North including Sigiriya Rock itself, the temples at Dambulla and the ancient cities of Sri Lanka. Kandy hotels are ideal for exploring this cultural gem as well as wonderful Pinnawella elephant orphanage, while hotels in the hills around Nuwara Eliya are ideal for exploring Sri Lanka's wilder side. Our range of hotels away from the beaches of Sri Lanka offer great flexibility for a package holiday to Sri Lanka, and can be combined with various areas. Durations are flexible, so it's up to you where you visit and for how long. Have a look at our range of hotels in this part of Sri Lanka. If you see something of interest call one of our friendly reservations staff on 020 8989 0970, or fill in a quote and we'll check availability and get back to you. If you're not sure what's best for you, ask to speak to one of our staff for ideas and inspiration.